We’re well into the age of appreciating rad cars and the Jaguar XJ220 was one of the raddest ones ever built. Know what’s really, really unrad, though? Buying a set of new tires for the thing. Yes, that says £5,940 for a set of four, which comes to approximately $7,621. “But a set of Veyron tires cost $17,000 to replace!” you scream, hurling your cereal at the walls. Yes, that’s obviously more expensive, but both are outlandish prices for a set of tires in the first place. 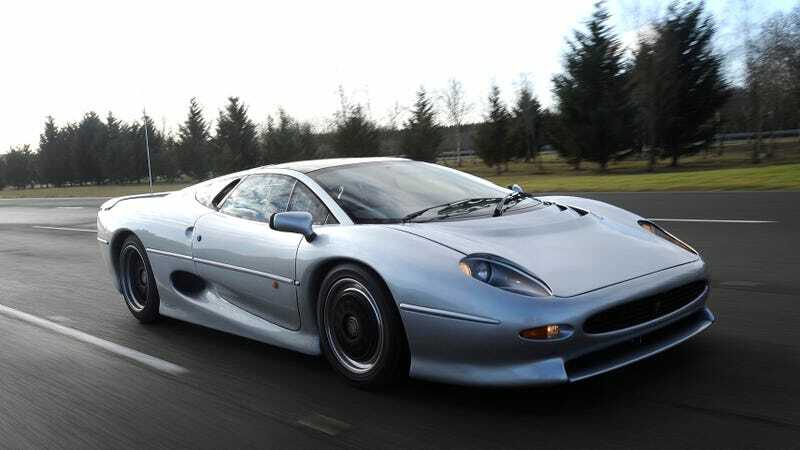 When it came out in 1992, the XJ220 was the fastest car in the world for a hot minute. It had a really specific requirement for tires that isn’t easily satisfied—255/45 ZR17 fronts and 345/35 ZR 18 rears and, reports Road & Track—which made it extremely hard for owners not to run around on rubber that was over 20 years old. Recently, though, both Bridgestone and Pirelli announced that they’d produce tires for the XJ220, which I’m sure makes XJ220 ownership much easier. It’s not clear if the tires in the photo that 5054 tweeted are the Bridgestones or the Pirellis, but they’re still damn expensive. But it’s better than using old, rotten tires because you can’t find fresh replacements. Safety first, kids!